CAER was established by the University of Reading in 2000, to build on and integrate the University's strengths in agricultural and environmental research. The Centre is based in the School of Agriculture, Policy and Development. This provides a unique opportunity to apply multi-disciplinary approaches to societal challenges around sustainable agriculture. CAER hosts well equipped environmental science laboratories and office accommodation as well as teaching facilities for undergraduate and postgraduate students. 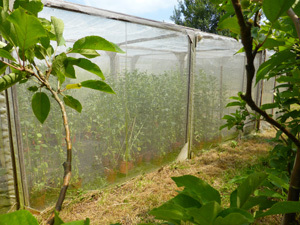 On campus, there are state-of-the-art flight cages and glasshouse facilities for conducting controlled pollination experiments on crops and wild plants. The University farms and farm-based research sites occupy some 850ha at Arborfield, Shinfield and Sonning, offering a wide range of opportunities to link agricultural production and environmental research. Ongoing experiments at Sonning include crop rotation trials comparing the benefits of diverse rotations with conventional ones. The School’s Analytical Laboratory provides facilities for a wide range of analyses of soil, plant and animal materials. Within the University we have a number of links with other Schools/Departments including Meteorology, Biological Sciences, Geography and Soil Science, which provide additional expertise and facilities to our research. Outside the University, CAER carries out research on a large number of commercial farms, and within a range of nature reserves and protected areas.